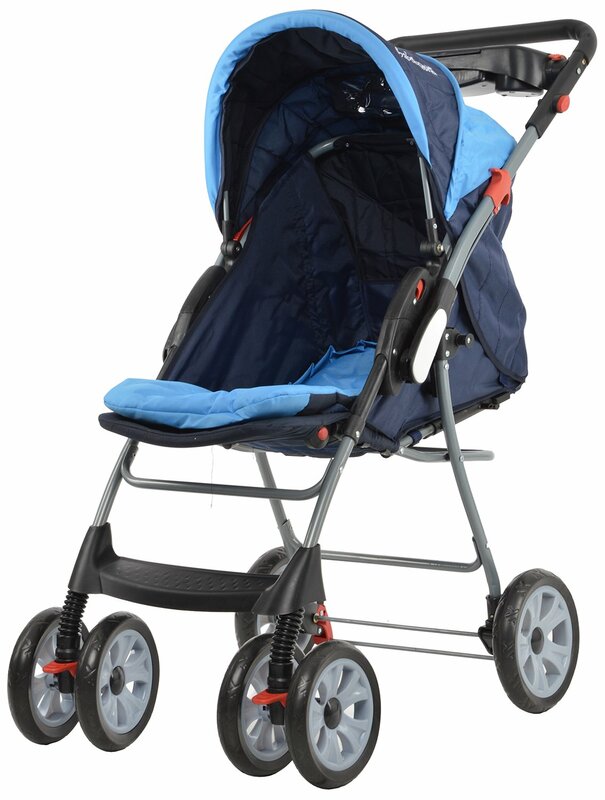 Babeezworld Pluto Stroller comes with double layers of canopy, with comfortable pad, It comes with a two pointed belt strap which ensures that your baby stays in place and does not come into harm's way. The straps come over both shoulders and around the waist. It sports 3 position reclining seat, rising falling reversible handle bar, removable front tray, top tray with cup holder and adjustable leg rest to make your little one most comfortable. It is equipped with six wheels. The seat is made with soft, baby-friendly material and extra padding to make sure your baby is comfortable. 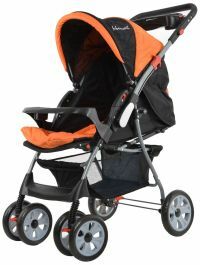 The best feature of the stroller is the large mesh basket at the bottom which allows you to keep all your baby's belongings together for safekeeping. To Recieve updates and possible rewards for Babeez World Pluto Stoller(Blue) please sign in. To Recieve updates and possible rewards for Strollers & Prams please sign in.